4.1 out of 5 based on 146 bloggers and 8 commenters. 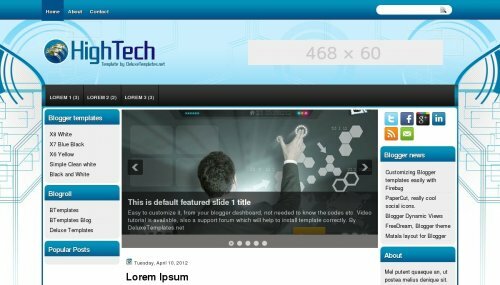 HignTech is a free blogger template with 3 columns, left and right sidebars, rounded corners, ads ready, slider and social bookmarking icons. Excellent template for blogs about games, internet or software. I am sure. This is a thempale very fantastic so much. Thanks now my site with templet so nice. Thanks nayem bro for shere realy amazing templet. how to add slider content…??? your all templete is so nice.